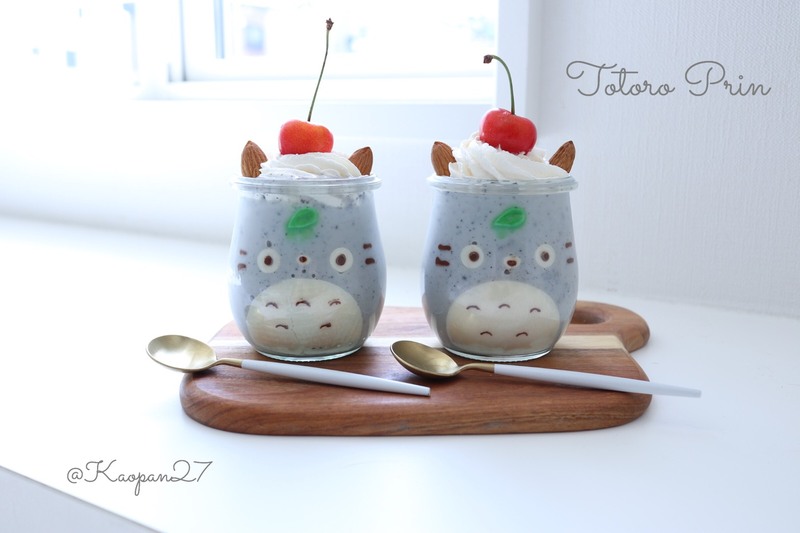 In this character recipe you’ll learn how to make a Totoro black sesame seed purin. 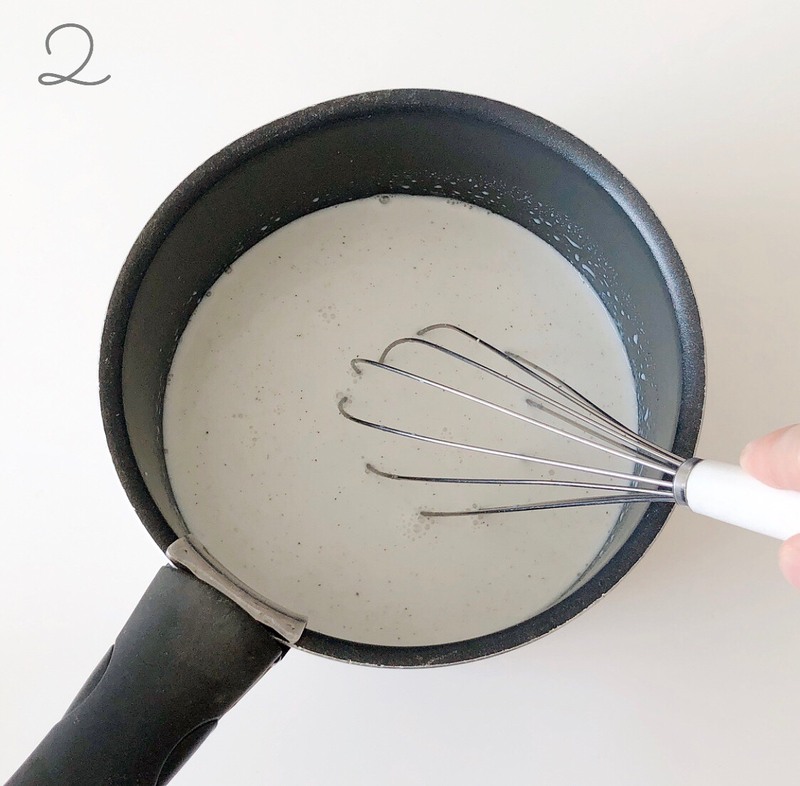 2: Cook the black sesame seed purin according to the box instructions and leave to cool. 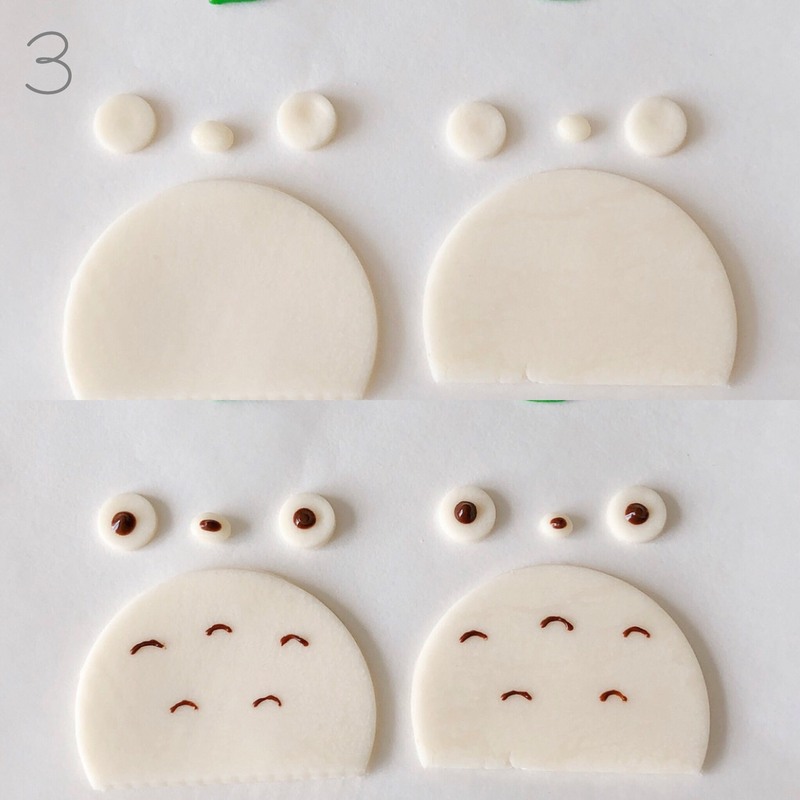 3: Cut the chocolate into eyes, a nose and stomach and decorate the features with a chocolate pen. Make a leaf with a green pura chocolate. 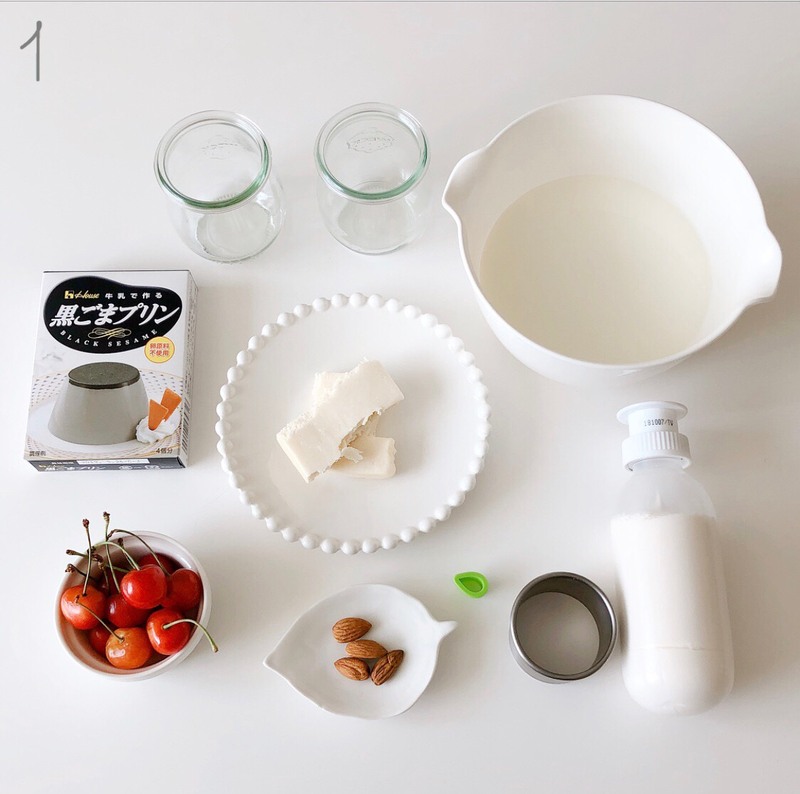 ☆Cool each part in the refrigerator to fully harden. 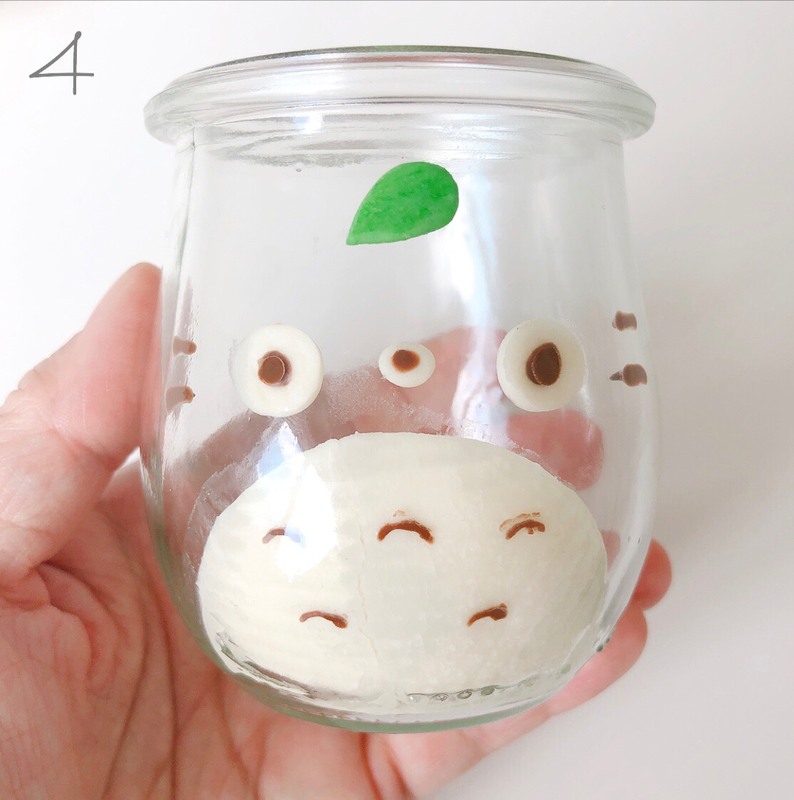 4: One the chocolate in step 3 has solidified, place it on the inner side of the jar as shown in the photo. Add whiskers with the chocolate pen. ☆Once everything is in position, leave it to cool in the refrigerator once more. 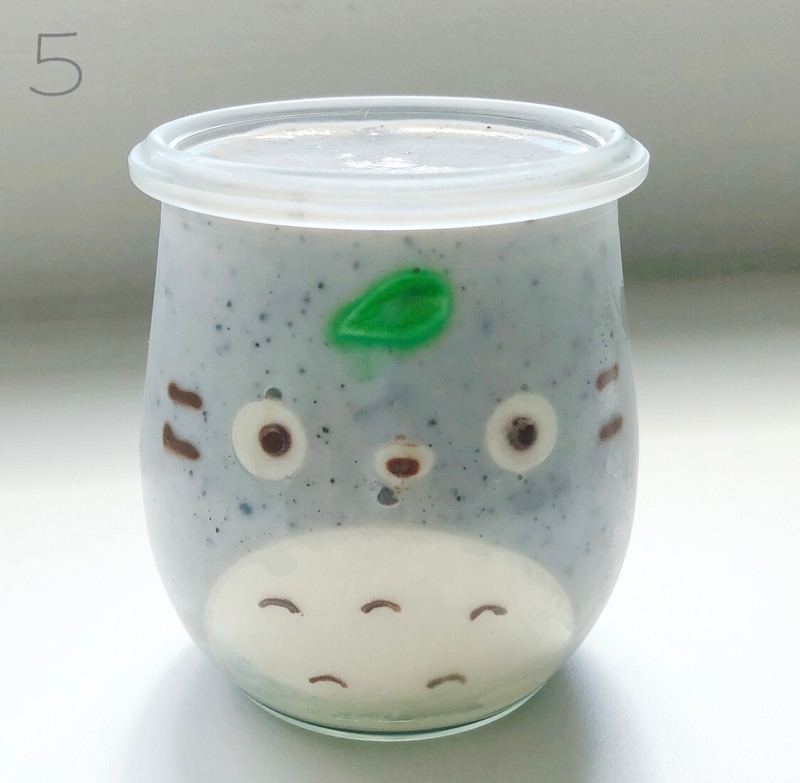 5: After cooling again, pour in your black sesame seed purin mix from step 2. ☆If you do not leave the chocolate to completely harden it will fall off. ☆Place in the fridge once more to harden and you’re done! Finish off by decorating with fresh cream, add almonds for ears and top with a cherry. Kaori’s easy recipe – learn how to make a cute Hello Kitty fruit sandwich! Kaori’s easy recipe – learn how to make a “Minions Cup Omelet Rice”! Kaori’s easy recipe – learn how to make the “Totoro’s plum and cucumber rolled sushi”! 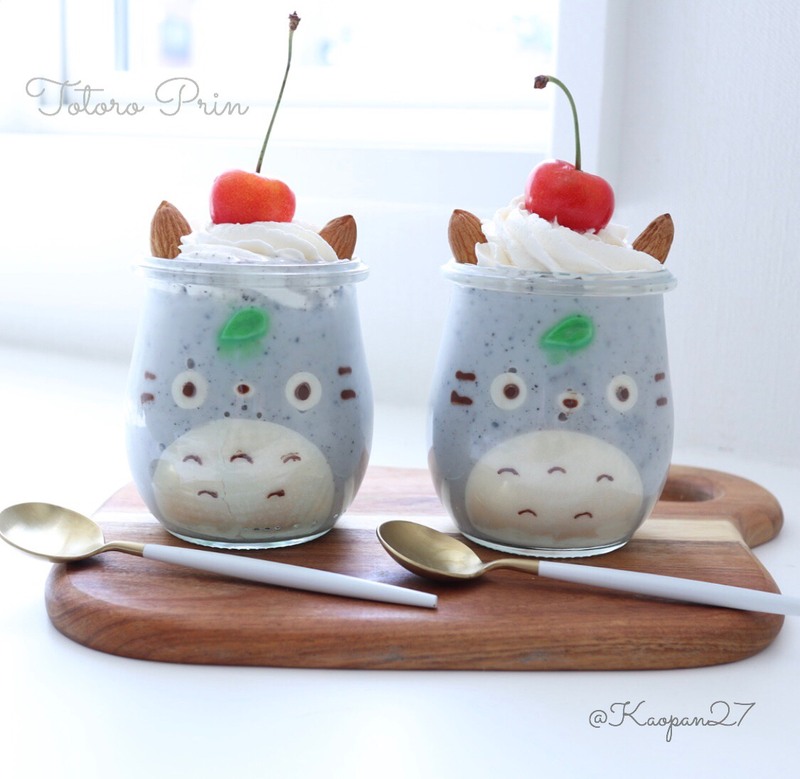 Kaori’s easy recipe – learn how to make a “Pom Pom Purin Fruity Milk Pudding”!